At age 17, La Rhonda Crosby-Johnson came home from school one day to find her entire extended family gathered at her house. That’s strange, she thought. She knew that her mom had been sick, but she didn’t know it was cancer. Her mother died later that night. 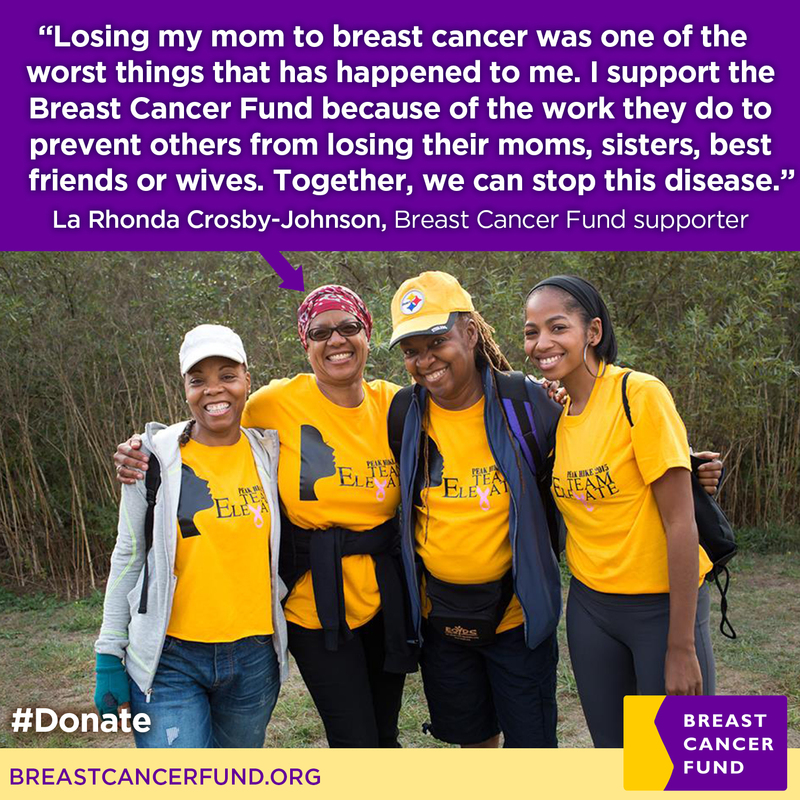 Years later, in 2006, La Rhonda discovered the Breast Cancer Fund through her friend Traci McKnight. Traci was diagnosed with cancer at age 23. She was the type of person who investigates—and she found the Breast Cancer Fund when searching for information about environmental causes of the disease. 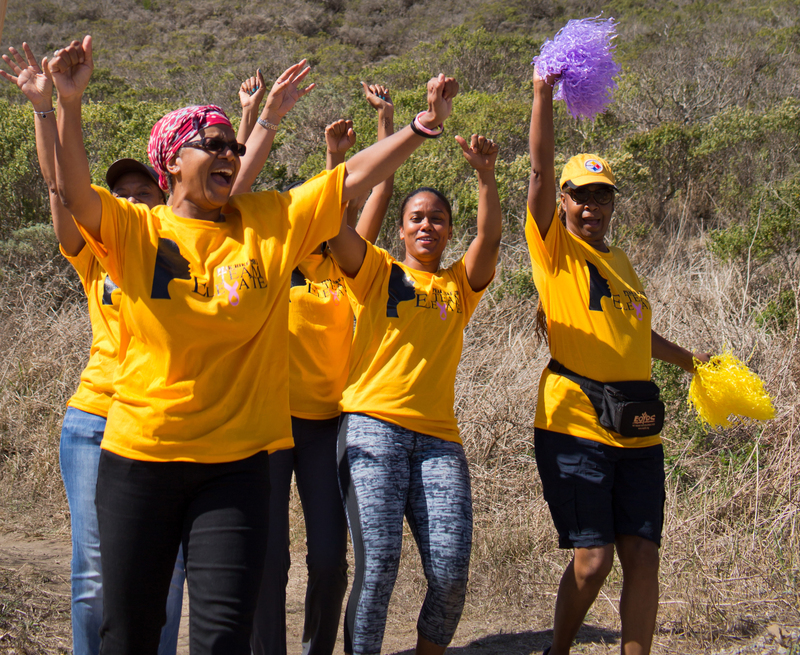 Traci got so excited about the organization that she brought La Rhonda and other friends to the Breast Cancer Fund’s signature event, Peak Hike for Prevention. Traci died in 2009. “Among my greatest honors in this life was that I got to love her and be loved by her,” La Rhonda said. La Rhonda honors Traci, her mother and others who have been affected by this disease by supporting the Breast Cancer Fund each year. There are way too many young, healthy women receiving a breast cancer diagnosis today. We know that most people diagnosed with breast cancer have no family history of the disease, and that exposures to toxic chemicals in our air, water and everyday products play an important role in increasing risk. Reduce these exposure and we reduce risk—that’s the Breast Cancer Fund’s goal. With your support, the breast cancer prevention movement will grow in 2016. Continue our efforts to lessen our economy’s dependence on chemicals suspected to cause cancer. Educate health care providers about breast cancer and the environment. Work with cosmetics manufacturers and retailers to develop safer products and purchasing policies. Investigate safer alternatives to dangerous chemicals in food packaging. With your support we will prevent thousands of others from ever having to face this disease in the first place.